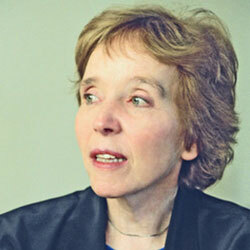 Helen Palmer is the author of five international best-selling books in the literature of consciousness. Her works include: The Enneagram: Exploring the Nine Psychological types and Their Inter-Relationships in Love and Life, The Enneagram in Love and Work: Understanding Your Intimate & Business Relationships, The Enneagram: Understand Yourself and the Other in Your Life, and The Pocket Enneagram: Understanding the 9 Types of People. Her most recent book, The Enneagram Advantage: Putting the 9 Personality Types to Work in the Office, pinpoints the interpersonal dimension in teambuilding, coaching, communication and motivation. She consults internationally, presents lectures and regularly conducts workshops on the issues addressed in her books. To read more about Helen, visit her personal site.